ACRC is a juniors rowing club made up of 13-18 year old boys and girls. We welcome rowers from all around Central Ohio and from multiple school districts. No rowing experience is needed. We invite you to learn more about us and the sport of rowing. Teaching consumers how to identify toxins in their every day products and offering a safe solution. All products made IN America and never tested on animals. No allergens, dyes, gluten or toxic ingredients. 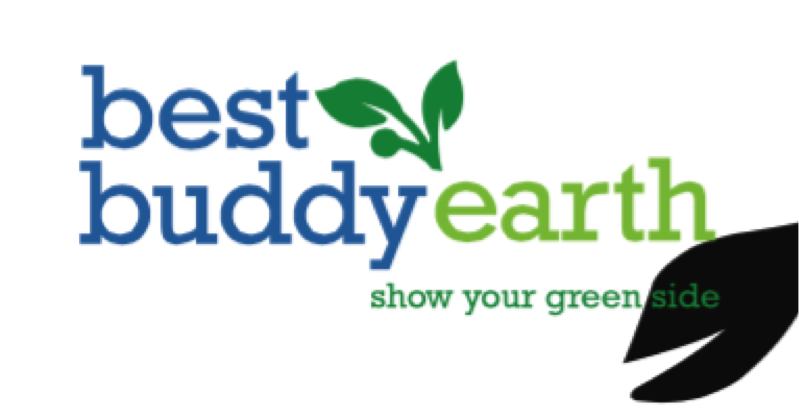 Best Buddy Earth is a small budding business with a young entrepreneur. Our goal is simple: To encourage earth's people to show their green side! 20% of all the profits go to The Sally Test Pediatric Center in Eldoret, Kenya. So when you stop by, you'll get that warm, fuzzy feeling in two ways; one from saving the earth, and one from helping the people on it. Big Green Head is a small company with a big heart! We're on a mission to educate, inspire, and change your perception about doing green. Let us help you start doing green and feeling good! We sell premium hanging flower baskets in coco shell baskets. ECO friendly lawn care has never been easier! Local Family owned business serving Central Ohio since 2005. Nerium AD night and day cream help to decrease the appearance of fine lines and wrinkles, reduce the appearance of discoloration and enlarged pores, increase firmness, improve skin radiance, and provide an even-toned complexion. Cassie's Stuff encourages finding simple ways to improve the environment and your own health. Going green doesn't have to be complicated! From growing your own food with Square Foot Gardening to finding safer, healthier products for your home, Cassie's Stuff can help you along your path to personal and environmental wellness. Our mission is to serve the people and animals of Central Ohio by providing safe, temporary shelter and care for abandoned or otherwise homeless cats and dogs, and to reduce pet overpopulation by means of spay and neuter, education, and community outreach. Columbus Ohio's hometown newspaper for over 140 years. We do mother natures work. No longer must your food waste be sent to the landfill. We provide you a container and collect weekly, even giving you compost back in the spring for your garden. CSG works in partnership with Columbia Gas of Ohio to offer residential energy efficiency rebates to utility customers. CSG’s core mission is to promote energy efficiency and the development of renewable resources, protect the environment, make homes safer and healthier, with lower operating costs and create a profitable, sustainable industry. We grow and sell hanging baskets, planters, flower and veggie bedding plants. This year featuring complete or do it yourself Fairy gardens. We also participate in the Worthington Summer Market. Old Fashion Kettle Corn in a variety of flavors, popped fresh daily! Have you heard the BUZZ about essential oils? doTERRa Essential Oils are Certified to be both highly Pure and Potent by third party labs. The #1 essential oil company in the world. Come see what all the buzz is about! Ecohouse Solar designs and installs high quality solar electric systems for homeowners and businesses in Central Ohio. Call us for a free estimate. more digging through dumpsters for old cardboard boxes to move. Ecopack offers reusable plastic moving totes for personal and office moves. We will drop off the totes to you, then after the move we will pick them up. Elfner Organic Lawncare has proudly served the Central Ohio area since 2000. We offer natural non-toxic lawncare treatments. All of our products are safe for people, pets & the planet. We strive to achieve a harmonious balance between beautiful lawns and good earth stewardship. We are a company committed to our customers, community and environment! Basement waterproofing, foundation repair and air quality control. Did you know that sealing up old cracks can increase energy efficiency and reduce the risk of toxic mold growth? Not for profit charitable corporation. Keeping the Olentangy River and its tributaries clean and safe for all to enjoy. We create garden themed home and garden items by upcycling/recycling/reusing and repurposing. Our items are unique, one-of-a-kind, and affordable pieces to decorate inside and out. Handmade vegetable oil soaps, bath fizzles, bath soaks, body creams. No preservatives or detergents. We are an Ohio based company providing Columbus with family-friendly and environmentally responsible landscape services. We offer a full line of Organic & Natural services for your lawn, trees, shrubs, and garden. We are proving that you don't need chemicals in order to have a beautiful landscape! Organic Lawn Care Treatment Is the Way to Go in Ohio! First business in United States to turn pet waste into Energy. Winner of this year Green Spot Award. Green Scoop also has food waste to Energy service, make our own natural kitty litter, full service yard cleans, and have commercial 'Poop with Potential' stations. We seek to keep re-usable building materials from going to landfills, supply the community with low cost home improvement materials, and raise money for Habitat for Humanity-MidOhio. HTH is a male Residential Drug Addiction and Alcohol Treatment Center in Columbus, Ohio that enables individuals to be productive, recovering members of the community by providing a comprehensive treatment program, work-based vocational training, education, and continuing care. All natural beauty and wellness company. Skincare, weight loss, and health products. The greatest thing to accessorize your nails in years! These vinyl nail stickers are vegan, gluten free, latex free and made here in The USA!!! They require no drying time, will not chip and last up to 2 weeks on your fingers and 6 weeks on toes! The Tower Garden is five foot tall aeroponic gardening system inspired by The Land Pavillion at Epcot/Disney World. Grows with water, no soil. Grows produce year-round 30 % faster than soil gardening with 10% of the water. JuicePlus helps fill the gap of what we can't, won't or don't eat everyday. It's like juicing on the go, but comes in capsules or soft chews- 20 fruits vegetables and grains that are vine-ripened. Also a plant-based protein Complete shake. Products are gluten-free, non-GMO and safe for diabetics. No 1 rated gutter protection by a leading consumer magazine. Let us help you keep gutters working properly to prevent a host of problems: infestation of mosquitoes and other pests; ice dams, mold and mildew from decomposed leaves and other organic materials. Never clean gutters guaranteed, warrantee is transferrable. All natural supplements designed to fill your nutritional gap. Mr. Eric puts together a kids interactive show with traditional and newer kids songs that they know and love. Kids sing through real microphones and hear themselves through a sound system. You should see the parents pull their phone cameras out. Fun!!! Local Food service specializing in custom cut Ohio Meats & other items, delivered to residential homes. Norwex offers green cleaning solutions that will save you time, money and improve your health and the environment. We're a locally owned business creating custom lockets. You tell stories with words....we tell stories with jewelry. 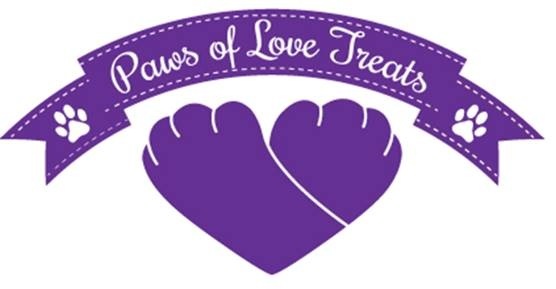 Handmade dog treats, gift baskets and pet accessories. We donate a portion of all sales to homeless animals. Our treats are 100% human grade ingredients, made in the USA and contain no fillers or preservatives. They have an incredible aroma and a taste that dogs love! Ethically handcrafted jewelry that provides employment for disadvantaged women in Columbus and globally. We are a supportive employer of Amethyst, Inc.
As a tea provider we look forward to providing you with only the highest quality, hand blended teas and accessories to make your tea experience a great one. We provide complimentary alternative health care means to patients. We specialize in corrective function care as well as other health care means. Massage Therapy is also offered. 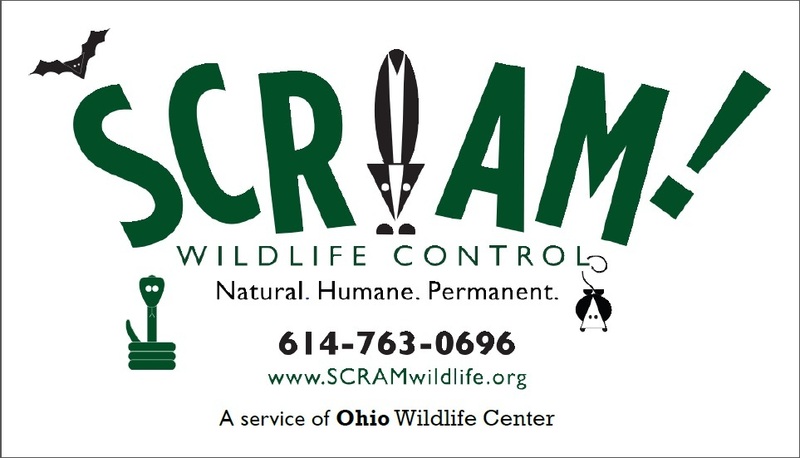 SCRAM! Wildlife Control is a﻿ service of Ohio Wildlife Center ﻿providing the State of Ohio with 100% NON-LETHAL wild animal control. Fees from SCRAM! services go directly to support Ohio Wildlife Center's nonprofit mission in our community. Our primary objective is to raise donations and awareness. Funds raised via Shimmy Mob will be donated to Abused Women and Children shelters throughout the world. Our secondary objective is to produce a dance event performed by dancers and non dancers with the objective of performing a choreographed medley of bellydance styles. Short North Bagel Deli is a local business consisting of a food cart, food truck, locations inside the Horse Shoe and Schottenstein center, as well as operations inside Nationwide Insurance Buildings. We serve steamed deli sandwiches on bagels. The Green Team, as we are better known, meets weekly to participate in outdoor education activities and foster students awareness and passion for the natural world around them. The Green Team consists of many of my special education students. Sutter Park PTA, in the Worthington School District, invites you to support our fund for "All-Inclusive Play." Craft a butterfly from recycled paper or purchase recycled crayons to support our dream of an outdoor therapy classroom/playground for our students and community. Sutter Park PTA is a non-profit organization. Saving the day and protecting the future the ecoplumbers are a locally owned environmentally friendly plumbing company. Our booth will promote the available products in water conservation and home owner tips to save energy and money! The Small Batch Candle Company started as a way to showcase container candles as artwork in 100% repurposed glass bottles. All of our bottles have been enjoyed in Columbus, Ohio and will now be enjoyed by many more as a mainstay in any home as beautiful container candles. In-home, one-to-one Tutoring Service that employs a Smartcar as a way to have a greener company car. Viridian was founded in March 2009 with a unique and inspiring value proposition: offer an affordable green energy choice to its customers. Viridian believes that green energy doesn't have to cost more, and that everyone deserves more and better choices. Books & More offers high quality books that are great for children of all ages, all interests and reading levels, homeschool studies, independent or family reading, gifts and more! Encourage your kids to read by providing them with fun, interactive, exciting books! We sell over 20 varieties of Home made Jams, Jellies, & Butter. This is our, mother & daughter, 10th year. We previously sold at our Union County Farmers Market and a few craft shows and now trying to break into more craft shows. Go green by recycling your kitchen and household waste turning it into nutrient rich compost. Red wrigglier worms to eat your waste and make compost you can use in on plants. The bins are proudly made in the USA of recycled plastic. We also sell self watering growing containers, portable greenhouses, soil separators to keep plants from getting root rot and to promote healthy growing conditions. The Worthington Garden Club founded in the 1800's holds monthly meetings to foster and inspire a love of gardening in our community and own backyards. We will be selling native plants and perennials. Worthington Libraries, promoting access to information, resource sharing, and sustainable re-use of reading materials for over 200 years. We also provide carbon-reduced access to information via our website, databases, and wide variety of downloadable e-books, audio and magazines. Comprehensive wellness center with chiropractic, nutrition, massage, acupuncture, allergy treatments and more since 1987.